Jesska Denise: Nails Inc Nail Polish. 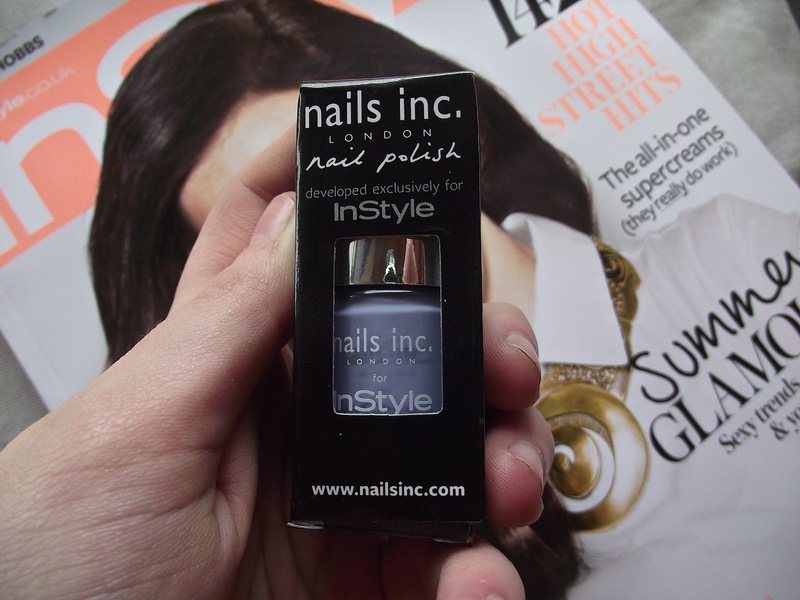 If you guys didn't know this months 'Instyle' magazine has a free 'Nails Inc' nail polish. There's a choice of three colours, a peachy pastel one, this pastel lilac one and another one (I can't remember the colour). My first 'Nails Inc' nail polish and I really like the application. Two coats and it looks perfect. The three shades together are worth 33£. 'Instyle' retails at £3.40 so for all three it works out at £10.20. Absolute bargain. I'm considering picking up the peachy one too.....this month I'm going to have a couple of 'Instyle' going spare haha.